Windows 7 introduced a host of new feature to make interacting with the operating system more interesting, fun and efficient. Peek is one such feature and is a highlight of the Aero theme. Peeks allows you to take a sneak peek of a minimized application, document or any window you have open but are not focusing on. 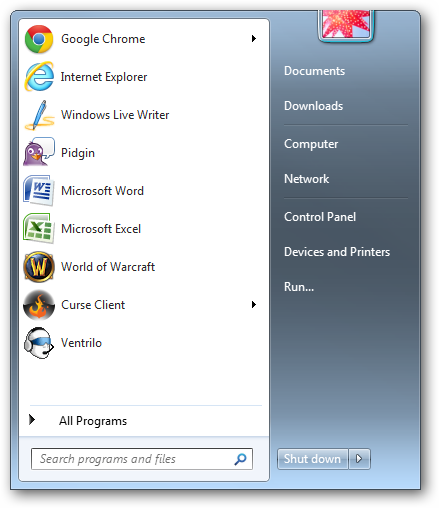 Peek is available in the following Windows 7 versions: Enterprise, Home Premium, Professional and Ultimate. This feature is part of what Windows calls the Aero desktop experience. 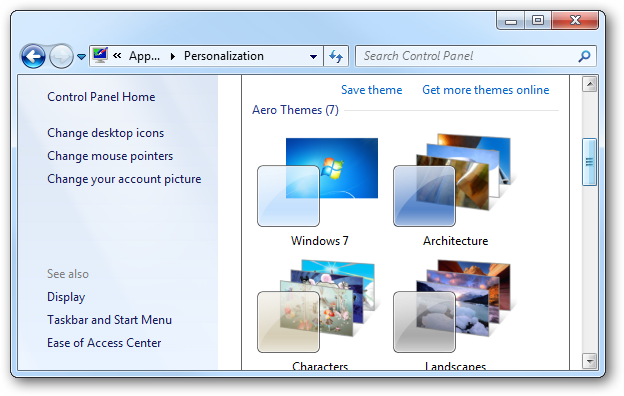 The Aero desktop experience offers a variety of functionality for users who choose to use this Windows-based theme. 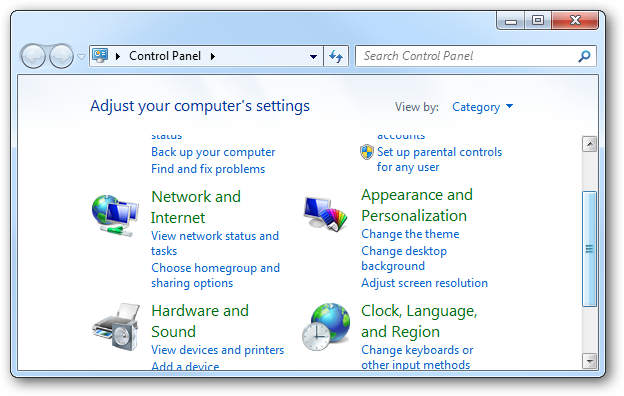 Windows released several Aero themes for users to utilize from the moment they boot a new computer. You can also download a variety of new themes that work with the Aero desktop experience, Peek and other features exclusive to this particular theme setup. The first step to using peek is to enable the Aero theme on your computer. If Aero is not already enabled, you want to make it your primary theme. You can tweak settings related to Aero to make your desktop more your own once enabled. 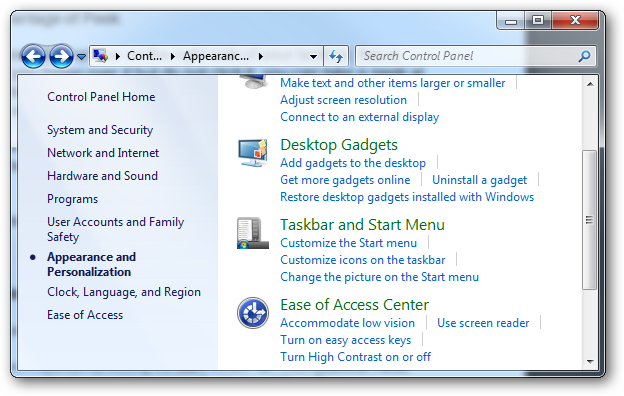 You want to click the “Control Panel” link in the right hand side of your Start Menu. If you have moved the link somewhere else, you will want to navigate to it to open your Control Panel. Once open, you want to click on the “Appearance and Personalization” header. 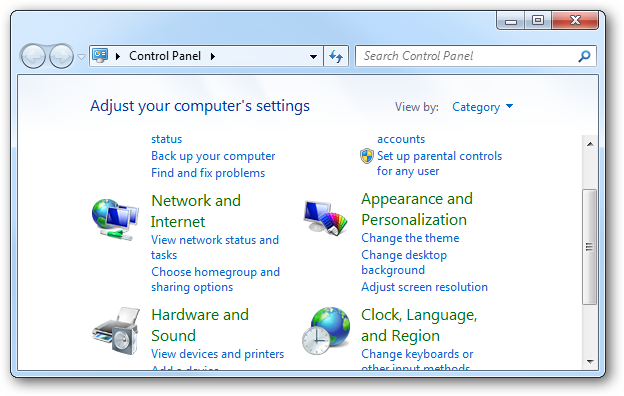 Windows 7 comes with several types of themes available from the get go along with the opportunity to download and install new themes for your system. Your computer will come pre-loaded with a handful of Aero-based themes you can choose from. As long as you select any one of them, you can take advantage of Peek. If you have not noticed the “Show Desktop” bar on the right side of your taskbar, this is actually a feature of Peek. If you hover over it but do not click it, you can take a peek at your desktop. This will automatically fade through every one of your open windows. Just take your mouse off it to end the peek. You can also use the Windows logo key on your keyboard and hold down the Space Bar at the same time to get the same effect. From here, click on your “Control Panel” link. Now, find the “Taskbar and Start Menu” header. Click on it. This will open all the settings for your taskbar and start menu. On the window that opens, you will find an option called “Preview desktop with Aero Peek.” If you uncheck the box, this will disable this feature for you. You then would find your way back to the desktop by yourself. Once the box is unchecked, click “Apply” then “Ok” to exit the settings menu. Another feature of Peek that cannot be disabled is utilize with what you minimize to the taskbar. For example, on my own desktop at the moment, I have Sticky Notes, VLC Player and Microsoft Word open. 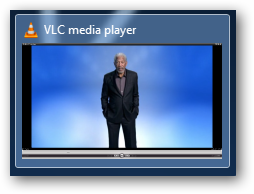 If I hover over VLC Player on my taskbar, I will see what is going on in a sneak peek. If a video is playing, you will be able to watch a mini-preview of what is going on if the video was maximized. In this case, I was watching Through the Wormhole and that is Morgan Freeman who is the host of the Science Channel show. If I hover over Microsoft Word, where I have more than one document open, I can see a preview of both documents. I have easily been able to peek in on up to five Word documents at a time. While I am sure you could peek in on more, you may not be able to see what is being worked on as the number grows. 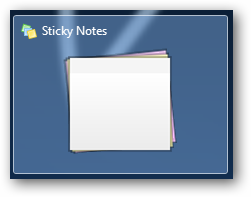 If I hover over the Sticky Notes, they are grouped together in another peek. Unfortunately, you cannot tab through the Sticky Notes to see what others might say which might make peeking in on them useless for most. 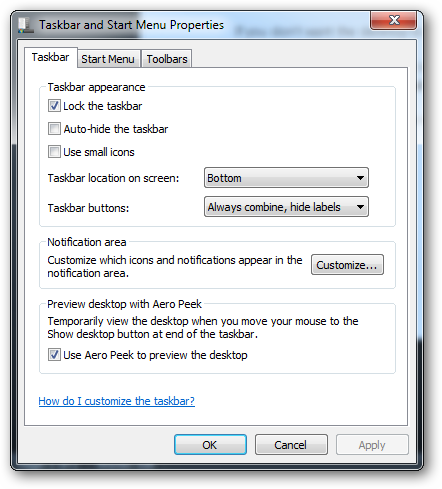 These are the two ways Windows 7’s Peek feature can be used. 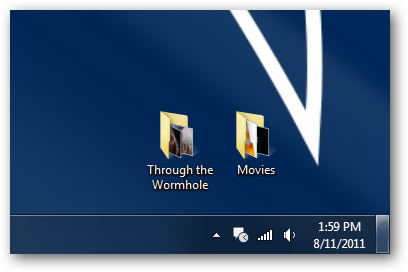 While the “Show Desktop” feature can be disabled, the Peek function itself cannot on your computer. Is Peek necessary in Windows 7? For me personally, I have found the only real practical use of Peek to be when I am gaming. Since sometimes I need to minimize my game to check e-mail, instant messages or catch up on Google+, I will minimize my game to the taskbar. This can be dangerous for a gamer depending on what game they are playing. For me, if I minimize in an unsafe area, I may be killed if I am not paying attention or come back to the game quickly. I can use Peek to make sure my character is not under attack. This allows me the chance to check out what is going on elsewhere on the Internet. 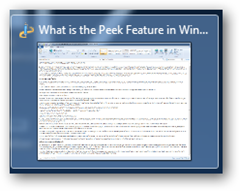 For others, Peek may provide more functionality and be a nifty feature Windows 7 offers. The Aero desktop experience provides a wide range of tools to make interacting with the desktop easier, Peek is just one of them. If you find a better way Peek suits you, let us know! We love to hear what our readers are doing with these unique Windows 7 features.